Big-name feminist advocacy groups have endorsed Andrew Cuomo over his rival Cynthia Nixon, despite Nixon’s record of pro-choice advocacy and criticisms of Cuomo’s legacy on securing reproductive rights. Reproductive justice is increasingly taking center stage in the Democratic primary for New York Governor. President Trump’s July 9 announcement of his nomination of Brett Kavanaugh for the empty seat on the Supreme Court opened the door for a 5-4 conservative majority that would be able to overturn Roe v. Wade. 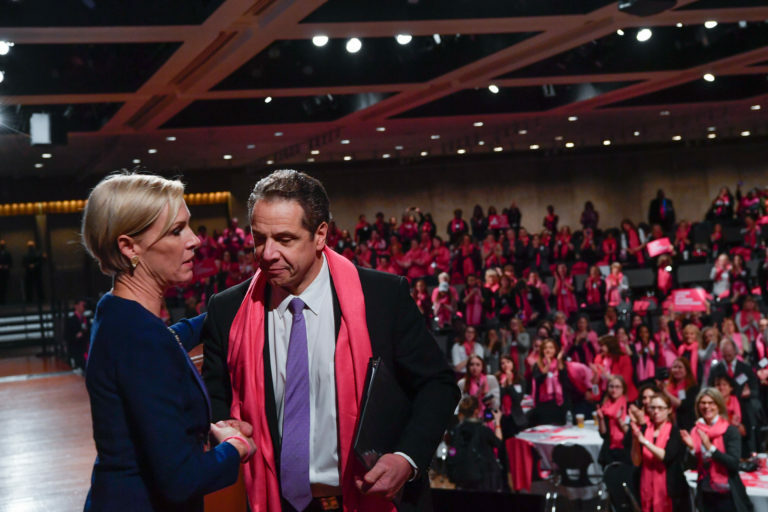 On July 11, shortly after Brett Kavanaugh was announced, Planned Parenthood Empire State Votes PAC, the organization’s state action committee, endorsed Cuomo. Cuomo also picked up an early endorsement from the New York chapter of the National Organization of Women (NOW-NY) in March. NOW-NY’s president Sonia Ossorio praised Cuomo’s record. Nixon, meanwhile, has been critical of Cuomo’s legacy on reproductive rights. Earlier this month she released a campaign video outlining her position on the threat to Roe v. Wade, interspersed with clips of Cuomo’s own comments. IDC stands for Independent Democratic Conference, a group of eight Democrats who have collaborated to give Republicans control of the state senate with Cuomo’s tacit approval. Despite being one of the first states to amend criminal abortion laws in 1970, advocates say New York has outdated laws around reproductive rights. The penal code has not been updated since the passage of Roe v. Wade in 1973, which activists say denies New York women their constitutional rights. While there are fewer barriers to seeking an abortion than in other states, it is still illegal to have an abortion in New York after 24 weeks of pregnancy unless the life of the pregnant person is in danger. This forces people to leave the state to seek an abortion after this cut-off point. Over the last nine years, legislation to update the state’s abortions laws and bring them in line with Roe v. Wade languished in the state Senate. In March 2018, the Reproductive Health Act (RHA) was finally passed in the New York State Assembly. But it has been held up in the Republican-controlled state Senate. The IDC members have said they will again join mainline Democrats as part of a deal engineered by Cuomo this spring. Observers remain skeptical, however, that they will follow through with the bargain. NOW-NY president Ossorio disputed this criticism of Cuomo and the delayed passage of the RHA. Abortion access has been a central part of Nixon’s campaign. She has spoken about her own mother’s decision to terminate a pregnancy. At a rally in Union Square on July 10, the day after Kavanaugh’s pick, she held up a coat hanger as she told the story. As reproductive rights have become a flashpoint in the gubernatorial race, Cuomo has taken out ads targeting Republican lawmakers over the delayed passage of the RHA and has passed an executive order to ensure access to contraception. Following President Trump’s inauguration, he also called for an amendment to the New York State constitution to write in freedoms guaranteed under Roe v. Wade. Throughout 2017, the activist group Women’s Health and Reproductive Rights (WHARR), part of Get Organized Brooklyn, held weekly protests outside Cuomo’s New York City office, calling for him to help pass RHA. One of the weirder chapters of Cuomo’s history on women’s rights is his 2014 founding of the “Women’s Equality Party” (WEP), in an attempt to appeal to women voters when he was first running for reelection. The WEP is not to be confused with WFP (Working Families Party), founded two decades ago by a coalitions of labor unions and activists. Cuomo drove around the state on a bus called the “Women’s Equality Express,” decorated with pink stars, encouraging female voters to support him. This year, the Women’s Equality Party endorsed two men, Joe Crowley and Andrew Cuomo, over their female opponents, Cynthia Nixon and congressional candidate Alexandria Ocasio-Cortez. The Working Families Party chose to back Nixon and used their endorsement announcement to level criticism at Cuomo’s record on reproductive rights. 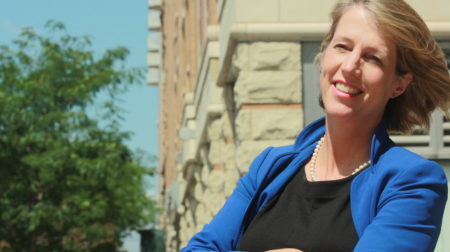 It initially endorsed Crowley but, following his June Democratic primary to defeat Ocasio, has called for him to withdraw from its ballot line. Crowley has refused to do so. 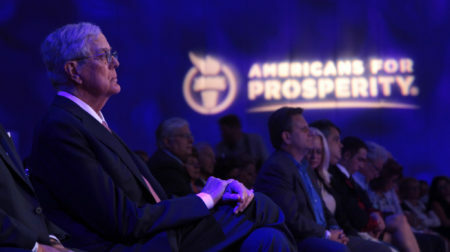 A Ukrainian fertilizer magnate, a shady lawyer and the Koch Brothers are among the major campaign donors that the Democratic governor and Donald Trump share.